Days after handing down its second budget, the Liberal government has asked its MPs to stay in Ottawa this weekend to discuss how best to sell the financial plan to constituents. Next week, Liberal members of Parliament will head back to their ridings for a break week to push Finance Minister Bill Morneau's budget to their voters, a document some have said is rather timid as there are few new spending measures, while others call it irresponsible because of mounting deficits. Caucus members will have to settle on the best lines of communication this weekend before making their pitches. "Winter caucus is about getting to work. We have to continue to work hard every day to earn the trust of Canadians, and that's exactly what we're doing with this budget," Prime Minister Justin Trudeau told his fellow Liberals ahead of the closed door caucus meeting. "It's a budget that is both ambitious and responsible." "The budget is focused on building a more innovative economy for the future, and a more robust and resilient economy for the 21st century," Francis Scarpaleggia, the Liberal caucus chair, said Friday, echoing a line that Canadians will likely soon hear from politicians at the doorstep. While the budget is front and centre at this weekend gathering, comments made by one Liberal MP are hanging over the meeting. On March 8, International Women's Day, Liberal MP Nicola Di Iorio and Conservative MP Dianne Watts were attending an in-camera committee meeting when Watts's cellphone rang. The ringtone prompted Di Iorio to say: "Where's your pole to slide down on?" Watts has suggested he was referring to a stripper pole. Trudeau said Friday he is committed to gender equality and making Parliament a harassment-free workplace. "There is an actual process that will be there to deal with issues of this sort," he told reporters. "That process is now properly under way." It's the first time all Liberal MPs will meet together since more than 100 backbenchers turned against their cabinet colleagues and voted in favour of now-retired Liberal senator Jim Cowan's anti-genetic discrimination bill, a piece of legislation the prime minister himself said was unconstitutional. There has been chatter throughout the nation's capital that Liberal MPs have grown restless with the legislative agenda. In addition to the Cowan vote, many Liberal backbencers also voted in favour of a Conservative-backed private member's bill, Wynn's law, that would make amendments to the Criminal Code, despite opposition from Justice Minister Jody Wilson-Raybould. Liberal members of the procedure and House affairs committee have also had to fend off furious opposition MPs who are concerned proposed changes to Parliament's standing orders — including the elimination of Friday sittings — could stifle debate and lead to less accountability. Publicly, Liberals are putting on a happy face. "Nothing strange is going on," Liberal P.E.I. MP Wayne Easter said. "It's a good time to talk about where we're at and where we're going in the future. The Liberal team is united. "You've seen some motions, some private member's bill go down to defeat in the House but that just shows how open the prime minister is in allowing the caucus to vote as they personally, or their constituents, feel they should," he said. "Frustration? I haven't been this happy in politics in 10 years. This is the happiest day I've ever had as an elected official," Liberal MP Adam Vaughan told reporters Friday. Vaughan has been a vocal advocate of funding for social housing for many years, pushing the issue while a member of Toronto's city council before his foray into federal politics. 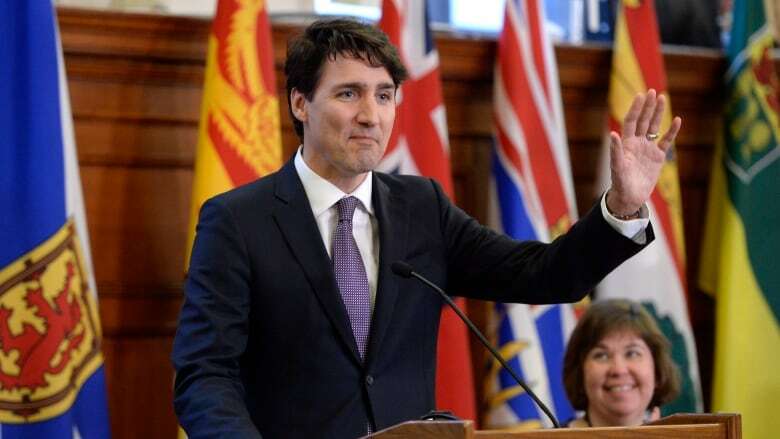 He said Friday he chose to run as a Liberal based on a promise from Trudeau, the then-third party leader, to make such investments, and he's elated the prime minister has followed through on his commitment with $11 billion over 10 years. "All I can do at caucus today is thank the prime minister, thank the party, thank the minister of finance. The national housing strategy is brilliant, the funding is historic, the length of the funding is unprecedented in this country. We're supposed to keep things we say in caucus quiet, but I can tell you right now I'll be thanking them." The usual winter caucus retreat was cancelled this year as Trudeau shuffled his cabinet, and shook up the ranks of the parliamentary secretaries. The usual Wednesday morning caucus meeting this week was also scrapped as it was the day the budget was released.